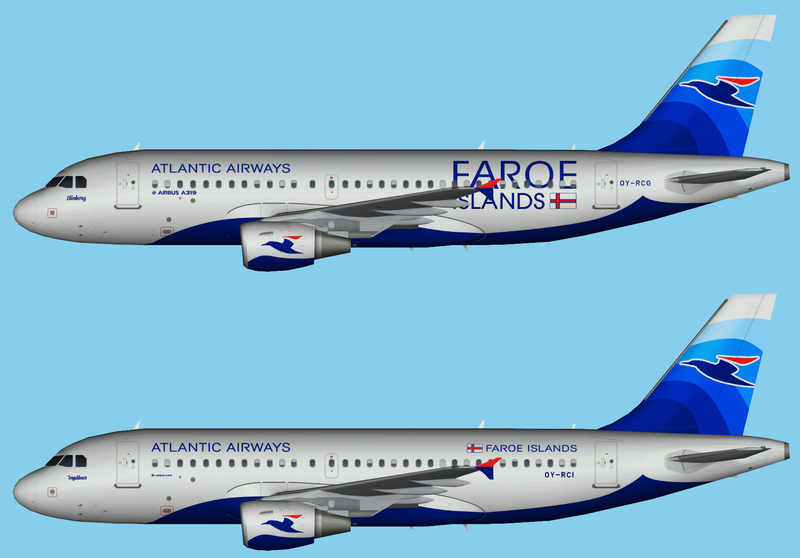 Atlantic Airways Airbus A319-100 Fleet FSX for the FAIB A319-100 CFM FSX base model. These are FSX textures only. The FAIB A319-100 CFM FSX base model is required. Atlantic Airways Airbus A320-200 FSX for the FAIB A320-200 CFM FSX base model. These are FSX textures only. The FAIB A320-200 FSX base model is required. 12 March 2018: Update released. Fixes a wrong registration on the starboard side of the plane, plus adding the name to the plane. Earlier file had 762 downloads. Atlantic Airways Airbus A319-100 FS9 for the FAIB A319-100 CFM FS9 base model. These are FS9 textures only. The FAIB A319-100 CFM FS9 base model is required. Atlantic Airways Airbus A319-100 FSX for the FAIB A319-100 CFM FSX base model. From Joshua is the following coming. None of them won’t be released until after week 42. I’m off to the Faroe Islands for a week and I won’t bring my laptop with me. Therefore no repainting for most of that week! All of the above paints are WIP!